Shelter R is an apocalypse-themed room, part of Brooklyn Escape Room (which offers two additional rooms, The Haunted and Medieval Dungeon). The venue is easily accessible through any of the four nearby subway lines. For players coming by car, Brooklyn Escape Room offers limited private parking, but make sure to coordinate it in advance. The waiting room has been pleasant but sparse: while the dark design is fitting, the place offers very little except for beverages and a single restroom as you wait for your party. The room itself quickly asserts itself in your imagination. A brief movie provides you with what little is known of recent history. You were born in this shelter, where your parents hid from the apocalypse. However, oxygen levels are starting to run low due to a malfunction and your group must find their way out! The Fallout-inspired theme is reinforced by the various puzzle props, which span the gamut from high-tech computers and electronic keypads to inspirational posters and radioactive soda bottles. We were slightly disappointed with a couple of the heavier props, which might prove challenging to operate to some groups, and with a (real-life!) electricity box which was off-limits but easy to trip accidentally. Another element that contributes to the memorable atmosphere are the music and sound effects, which are suitably dark and dramatic. 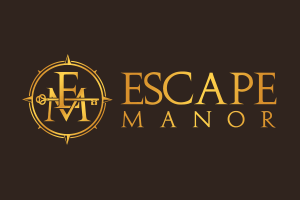 The overarching puzzle ties nicely to the story and follows a thematic progression to your escape. Several mini-games had a fun action component to them: you are encouraged to break, smash, and move stuff around the room, and are even provided with some of the tools required to deliver maximum damage. I commend the venue for trusting the players with such behavior. The room has several plaques that provide guidance on what to do next, however, despite these instructions our group got stuck on several puzzles which required lengthy trial-and-error. These were often only accessible by one player, which lead to some downtime and hurt the immersion somewhat. Overall, Shelter R has a brilliant design and strong immersion component. Two of our group members are Fallout fans, making this room exceptionally attracting to them. There were many little details that were hidden in the posters or various buttons that brought out the post-apocalyptic feel. 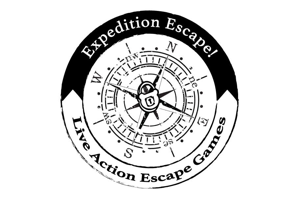 Setting aside the roleplaying experience, the escape puzzle was well-connected to the story. It involved several new twists on familiar mechanics, and the novel action-based solutions. With that said, the puzzle had several inherent flaws (such as the heavy props or sections which had limited access) which could have been ironed out, and the room felt cramped at five — we would recommend four as the ideal group size. We recommend Shelter R for its unique bland of exploration, special effects, and overall theme.